So the winners of the NWVF Film night were “BMX Bandits” and “Belleville rendez-vous”, as decided by audience vote. A film not many of us had seen before, BMX bandits is a classic kids crime caper. On Saturday at the alleycat we wondered how on earth we ever managed without mobile phones, well now we know! In true eighties fashion these kids had WALKIE TALKIES and and used them and some flour, to stop the meanies from robbing a bank all while doing sic BMX tricks. 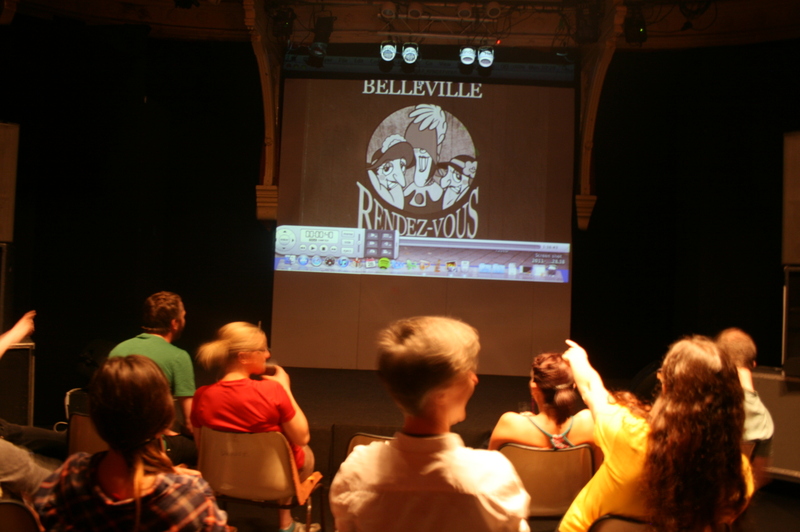 The second film we watched was the classic animation, Belleville Rendez-vous and though many of us had seen it before we thoroughly enjoyed watching it again! Tonight is the moonlight ride to Dunham Massey and back (approx 30 miles). Bring lights and puncture repair kits. There will be a mid-way refreshment stop. See you from 5.30pm at the Sandbar for 6pm departure.